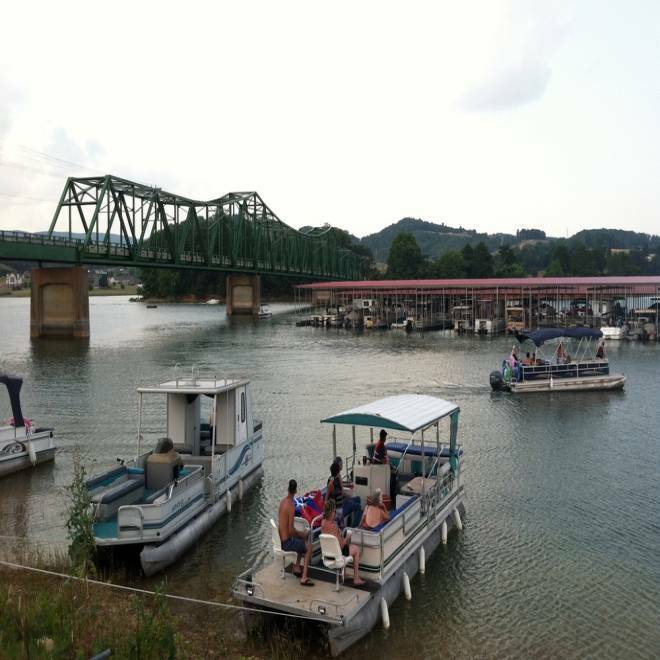 The scene at German Creek Marina in Bean Station, Tenn., on Wednesday after several children were shocked while swimming. When Kevin Ritz read about the children who died after being shocked by electricity while swimming in lakes in Missouri and Tennessee on Wednesday, he thought about his 8-year-old son, Lucas, and the dozens of others who have died this way. “Everyone goes, ‘How can that happen?’” Ritz said. In 1999, Ritz’s children were swimming in the Multnomah Channel of the Willamette River in Oregon when suddenly, Lucas let out a gasp and apparently became unconscious. His life jacket flipped him over so that his face was out of the water. As his wife jumped in the water to save their son, she felt paralyzed, a feeling she attributed to fear. His other son later reported that he, too, felt numb and tingly. Law enforcement officers told Ritz that his son had drowned, but Ritz pushed them to investigate further. His son’s face, he said, hadn’t been submerged and he had been wearing a life jacket. In the throes of grief, Ritz, now a marine electrician, started agitating for safer marinas. It infuriated him, for example, that electrical outlets at marinas were not held to the same standards as outlets in bathrooms. The obstacles are many, however. Ritz said that a marina manager near where he lives wanted to upgrade some of the marina’s electrical system but learned that, by law, he would also have to upgrade the whole system – a pricey proposition. Ritz works with David Rifkin to keep a list of those who have died from what they call electric shock drowning. Their list is anecdotal, because that cause of death is impossible to determine in an autopsy, Ritz said. Rifkin counts more than 50 people who have died in that manner since the mid-1980s, but he said the actual number is likely many times that. Rifkin’s list does not include those that occurred Wednesday – he said he does not yet have enough information to include them. But the deaths on the Fourth resemble the others on the list, in that all occurred in freshwater. Alexandra Anderson, 13, and her 10-year-old brother, Brayden, were swimming in Lake of the Ozarks, a freshwater lake in Missouri. Noah Winstead, 10, and his friend Nathan Lynam, 11, died after being shocked in Cherokee Lake in Tennessee. Rifkin has no documented cases of deaths in saltwater. He says that’s because of the high voltage gradient that would have to be present.